The classroom had stacks of brightly wrapped gifts—but none of them were for the students. The gifts were for the residents of the Ridgefield Living Center. Each package contained a pair of gloves and a scarf handmade by a Sunset Ridge Intermediate School student. 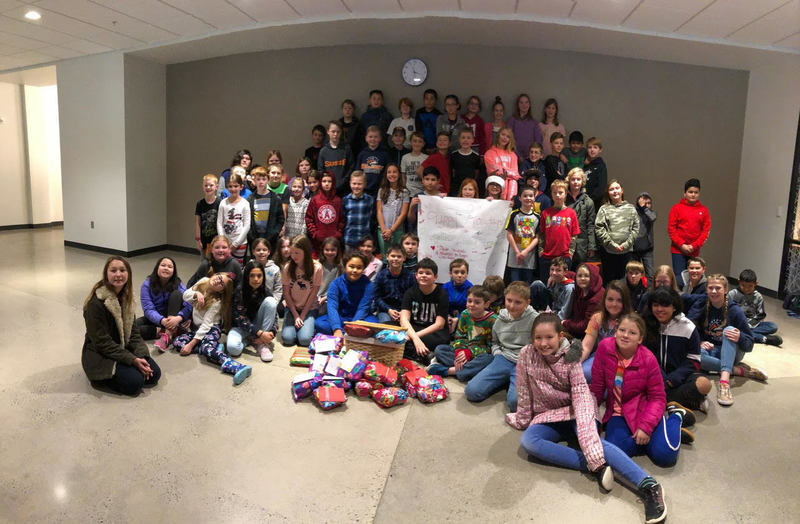 As part of a project on community service, the students in Jericho Kaylor, Erik Mendenhall, and Amanda Burgess’ classes researched how community service can benefit others. 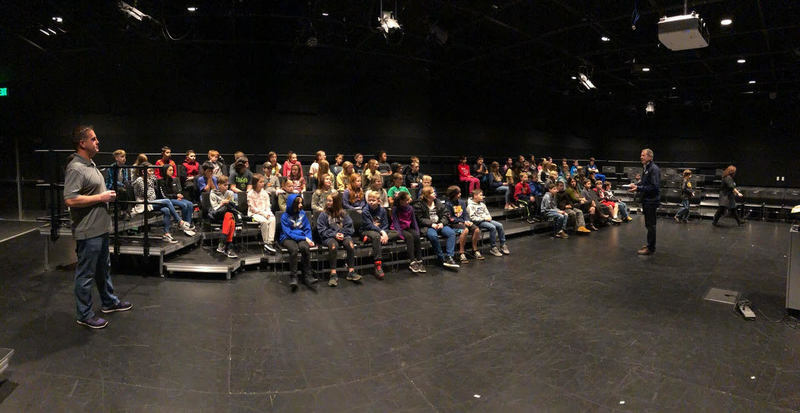 Ridgefield Mayor Don Stose came to speak to the classes about the importance of community service. The students decided to make scarves for members of the community in need. Teacher Jericho Kaylor called the Ridgefield Living Center, an organization that provides assisted living services with a focus on mental health. “It was awesome because the scarves we planned on making were exactly what the residents asked for!” Kaylor said. The students measured and cut each of the scarves by hand, then added a pair of gloves and gift-wrapped the packages. In a real community partnership, the materials were generously donated by EKM Property Management. 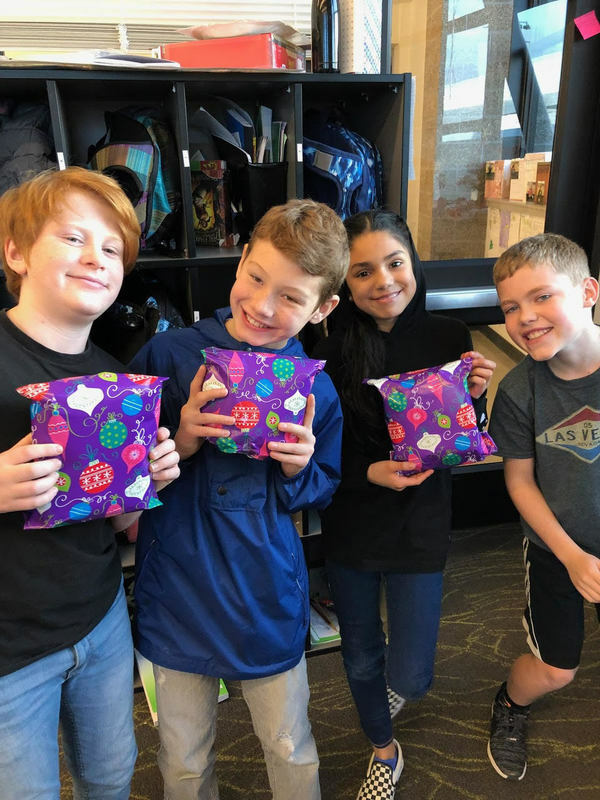 Now each resident at the Ridgefield Living Center has a cozy scarf and a warm pair of gloves for the winter, thanks to fifth grade students at Sunset Ridge. Mayor Stose speaks to fifth grade students about the benefits of community service. 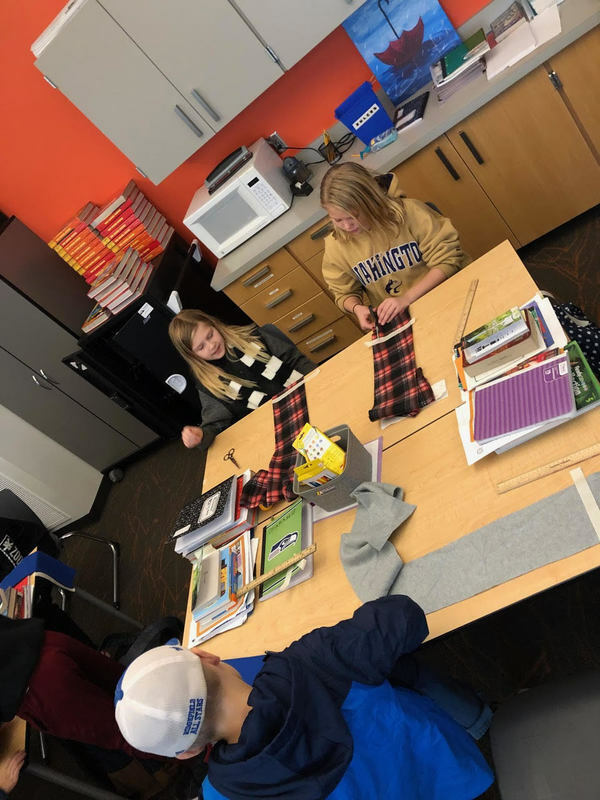 Students work together to measure and cut scarves. Three classes of fifth graders display a handmade sign and gifts for the Ridgefield Living Center.